Heinkel Cars were a product of post-World War II industrial and political policies. Talented aircraft engineers could no longer ply their trade designing military planes, and Europe had an acute need for basic and economical transportation. 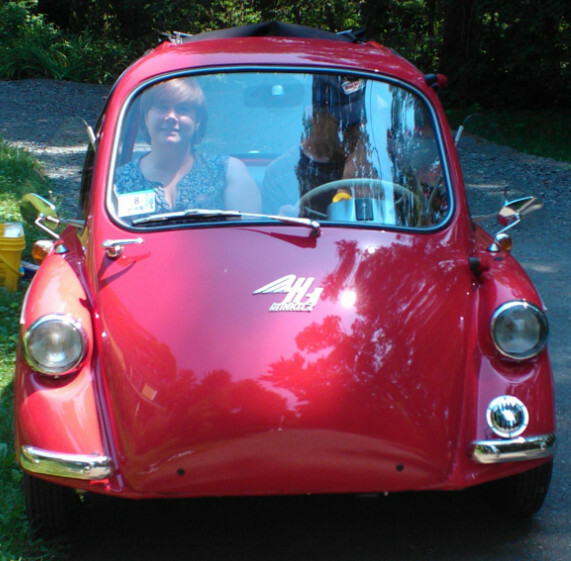 Dr. Ernst Heinkel, eponymous founder of Heinkel, saw the ISO microcar and thought he could go one better. 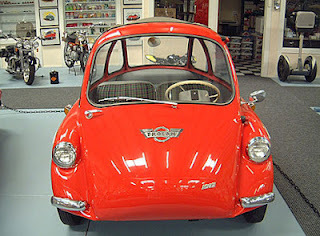 ISO had licensed their designs to BMW, who started making the popular Isetta. Heinkel decided that he would make a similar car with a unibody (instead of a body on frame design), and reduced the size of the engine from BMW’s 300cc to 175cc. The early cars rolled off of the line in late 1955 with these smaller engines, which were quickly upgraded to the 200cc engine in the late 150 ,153 and 154 models. The 153 designation meant a three wheeled car, and 154 meant 4 wheels. The fourth wheel was added for more stability. Does that mean the three wheelers were unstable? I’ve never driven one, but the 3 wheelers under certain road conditions make for a very adventuresome trip! Ernst Heinkel died in 1958, and the production line was sold to an Irish company. Ireland was eager to increase their industrial base and saw auto assembly as an important step. The factory was established in an old railroad facility in Dundalk. My car was assembled there, using many parts imported from Germany. Production quality was spotty at best, and eventually the line was sold to Trojan in England, where they built left and right handed versions through 1965.